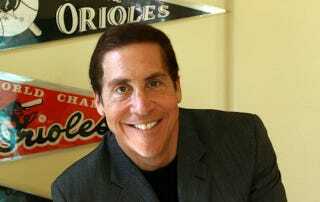 If this one shakes out, it'll be a scoop heralded by the unlikeliest of sources in the unlikeliest of venues: former ESPN interviewer Roy Firestone announced that a former MLB player will be revealing today that he used steroids throughout his career. with did too. I am not at liberty to say more than this, but it will be a big story. details but just stay tuned. Is there anything to this? We have no idea. Firestone's not a reporter, but he's crossed paths with thousands of athletes over the years. By the end of the day, we'll know if message board teasers are the future of sports journalism, or this is just like Rob Lowe's exclusive "Peyton Manning is retiring" report. Update: It's Robert Fick. That'll teach us to doubt Roy Firestone.